As you know Acquire is now a platform of various Chat-Bots, here you can use ChatBot of “Acquire” itself as well as other integrated ChatBot too. If you want to use a ChatBot of 3rd party, Acquire provide a large number of Bots in Bot Store listing and a few more will be coming soon. 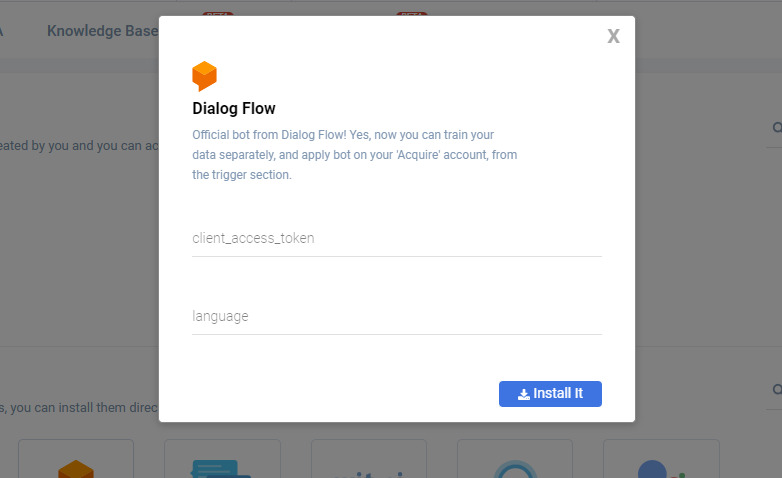 From Acquire Bot Store, Google’s Dialog Flow is one of popular ChatBot. it works alongside Acquire Chat Widget. 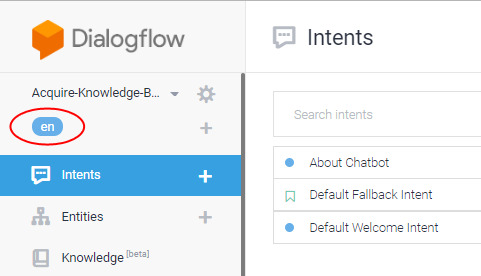 Go to Acquire’s Bot Section, here you can see there are lots of 3rd party Chat-bots also you will find the “Dialog Flow Bot” in this list. Click on “Dialog Flow” and a popup will be displayed. You need a few parameters (i.e. “client_access_token” and “language”) to bind it with chat widget. 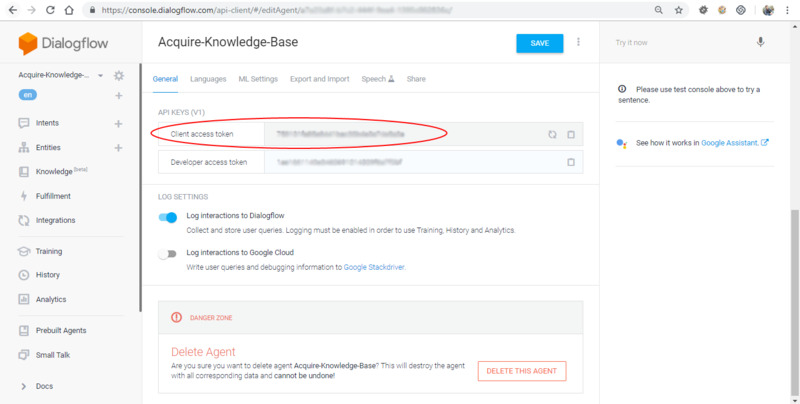 To get your “client_access_token”, go to Dialog flow and press on gear icon that is displayed next to your agent name. Here you can access all settings related to your agent. Copy your “Client Access Token” from “General” Tab and paste it to “Acquire” popup. 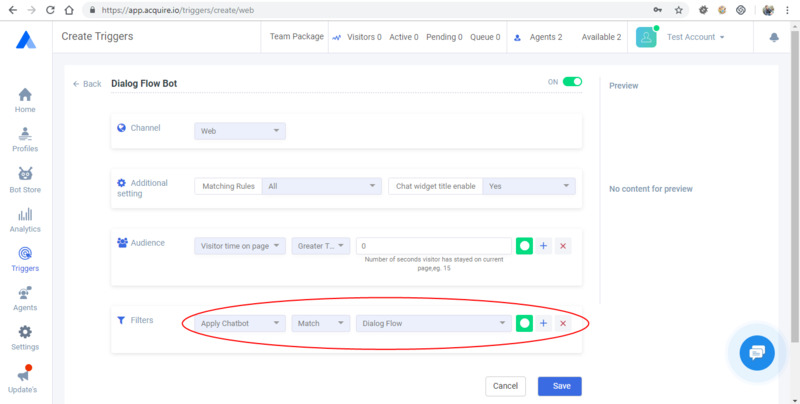 To find out your 2nd parameter (language) in Acquire popup, you have to get language code of that language, in which you will train your Chatbots’ knowledge base. See the below screenshot you will find your language code and put it into Acquire popup. All are set up, now we are good to go and press the install button. And it's done. 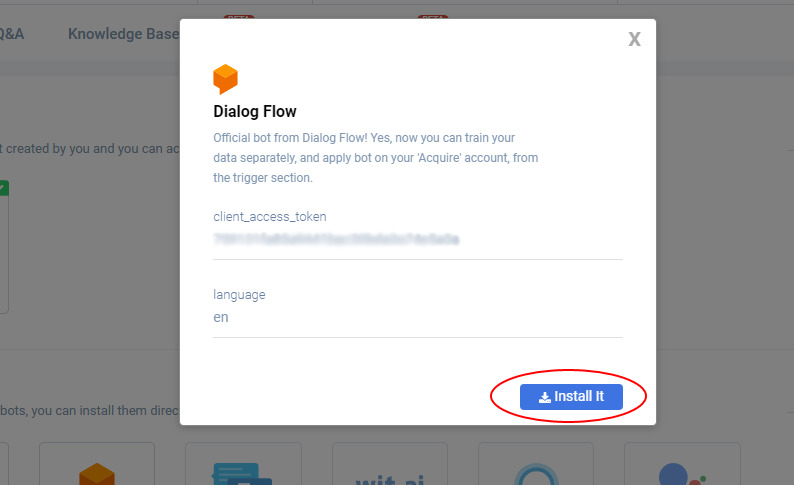 The Dialog Flow Chatbot bot will now appear in Bot section. From “Trigger” section, apply it where you want. It will answer all your visitors’ queries. 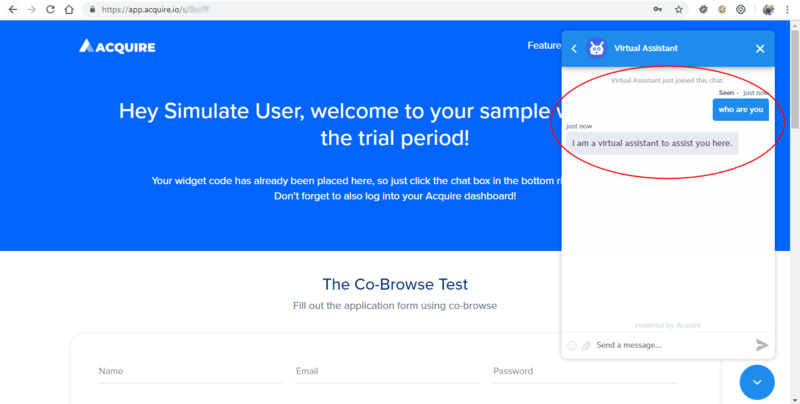 Now go to your simulate page to test your Chatbot by putting the different types of questions.